What do you think of when I say holistic? What is the first thing that pops into your mind? Do you think of it in terms of healing or is it a state of mind you may try to achieve? Without understanding the context, the story, we cannot fully understand the main character. In other words, holistic design is looking at the total product experience and asking the question, how might we tie in different parts of the product's design to the overarching story? 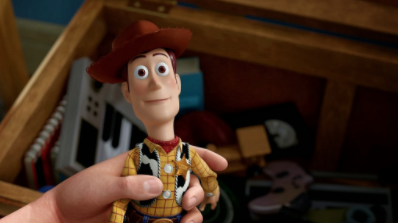 Woody with no context is just an animated cowboy. It is only in the hands of a boy and the surrounding environment do we realize his scale and his identity. At Trig, our standard is to be hungry for this way of thinking, knowing it is essential to going the extra mile for our clients. It can be tempting to focus only on the product and to arrive as fast as possible to a solution. However, applying holistic design thinking from the start allows us to see the whole story through the design process and in the end giving a relational experience between the brand and the consumer, for example Sunscreenr UV Camera and LifeFlow Rapid Infuser. Today, to differentiate in the market, products and experiences must be designed in a way that help brands build relationships and trust with consumers. A large part of design is solving problems, often it is mistaken that as long as we respond the given problem we have a successful solution. As we focus on solving problems we, as designers, have to approach the design seeing the system as an interconnected whole that is part of a larger world. In a sense the secondary considerations become primary alongside our problem solving. How will this object change across its lifetime? What will this object tell its user? Will the environment change it? What emotion does the object convey? Where is it when it is not being used? The list could go on and on, but the idea is to zoom out, not in. At least not yet. Arguably one of the most influential design teams, Charles and Ray Eames, created a film in 1977 called Powers of Ten. In this film, the Eames’ bring the viewers attention to the value of scale and uses exponential powers to visualize it. The story begins with two people having a picnic and relaxing for the afternoon. Soon we see that they are in an open field, then we see they are near a lake, then in a large city, then clouds, the world, and eventually empty space. After a momentary pause we are taken back to earth and to our two characters. We then start to zoom in to the skin of the man’s hand, then a white cell, and eventually ends viewing a single proton. This film has been evaluated on many levels but I find value in what we can learn about our characters just from zooming out and in. Only when we start to zoom out do we learn about where they are, who they are with, the emotional state they are in and how complex they are when we zoom in. But we cannot stop here and just see the whole story in our products; we must apply this knowledge to our products to create an experience that builds relationships and trust between brands and consumers. For example, take the design field of Architecture and how holistic design can benefit a structure. Of course every homeowner wants a roof over their head for protection from the elements, but the architect must look beyond if he wants to meet the expectations of his clients. They are also concerned with aesthetics, where one room is in relationship with the other, and must take into consideration what they not only like but dislike. These are the desires of the user. But if the architect wants to think holistically she must take into consideration the sun position at different times of day, how the home looks in the environment, or how the landscape might change over the years. Also, sustainability must be examined from a materials perspective. Can materials be recycled after use? Could natural energy be harnessed? In a similar way, when we design products and experiences we look beyond the immediate task and ask ourselves questions that tap into the psychology, ergonomics, aesthetics, brand, and emotion of the total experience. The big takeaway is that holistic design goes beyond problem solving and looks to embody all aspects of how a product is used. Now more than ever, the role of an industrial designer is spreading to engage an extensive range of partners in the design process. We look to work closely with our clients to bring a holistic overall experience to their customers. At Trig, this resonates with one of our core values “We are Hungry”. We strive to deliver results to our clients that go beyond their expectations. Thinking as Holistic Designers we raise the bar for your competition as we seek to deliver solutions that embody all aspects of a product and are tuned to their end user.